>Amélie is one of my favorite movies ever! I have it in my house, and can watch it so many times without getting bored, hehe. Your outfit is really cute, too! >Romeika, não faça inveja a gente dizendo que ainda tem sobras da sobremesa do Natal!!!!!!!!! KKKKKKKKKKKKKKKKKKKKQuanto ao filme "Amelie Poulain": entendo a paixão que muita gente sente em relação ao longa, mas ele não me encantou! >aww you look gorgeous!that movie sounds really good. everyone wants love and contact, and i love Amélie's hair. Audrey Tautou is so good at these roles. how can one not be enchanted by her?i'm off to costa rica for a couple of weeks, so let me wish you a happy, wonderful new year. i'll see you when i get back. hugs. >Acredita que nunca vi esse longa do começo ao fim! Já "conferi" duas vezes, mas apenas algumas partes. Já passou do momento de vê-lo todo 😉 E seu estilo ficou muito bacana, com um sorriso bem parecido também! >I bought Amelie Poulain a month ago, but still haven't got a chance to see it. Great photos!Ciao! >oh how i love this movie! i need to watch it again soon. i know i have said this a million times, but red lipstick is divine on you! 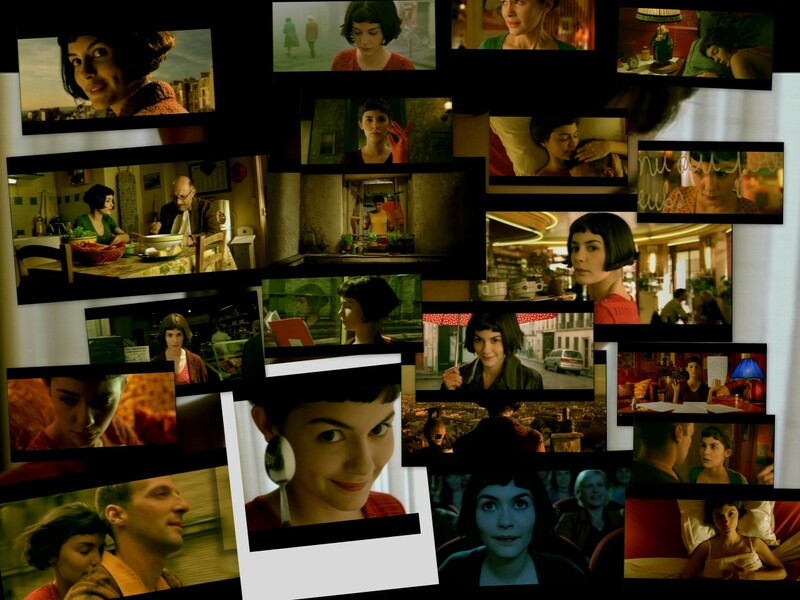 >i love the whimsy that's infused in amelie and your outfit! i got to see the storefront in montmartre where the movie takes place and nearly squealed with delight. >That sounds like such a good movie. I will have to watch it.I love how you let it inspire your outfit. >you look lovely. she was the actress that started in priceless wasnt she? I think it was called priceless….hahaanyway HAPPY NEW YEAR! >Adore Amélie! Love your sweet smile & poses…Wishing you the sweetest 2009! >Ah black & red is so chic 🙂 Happy new year!